The emergence of ecosystems and virtual communities is one of the most exciting developments for software companies in the Web 2.0 space. For CumulusPro, this means building a rich ecosystem of technology vendors, service partners and user communities on our cloud-based collaboration platform – with the opportunity to design our offerings around the latest cloud technologies, and provide maximum value to our customers. From tedious backlog scanning to knowledge process outsourcing services, or business process outsourcing in the Financial Services, Banking, Insurance and Healthcare industries, our BPO partners can rely on our cloud-based web and mobile technology to deliver a cost-effective, and an interactive and engaging customer experience from anywhere, any time, and from any device. With no initial capital investment on hardware or software licenses, or software maintenance fees, our partnership translates into a cost-effective business solution to their customers worldwide. 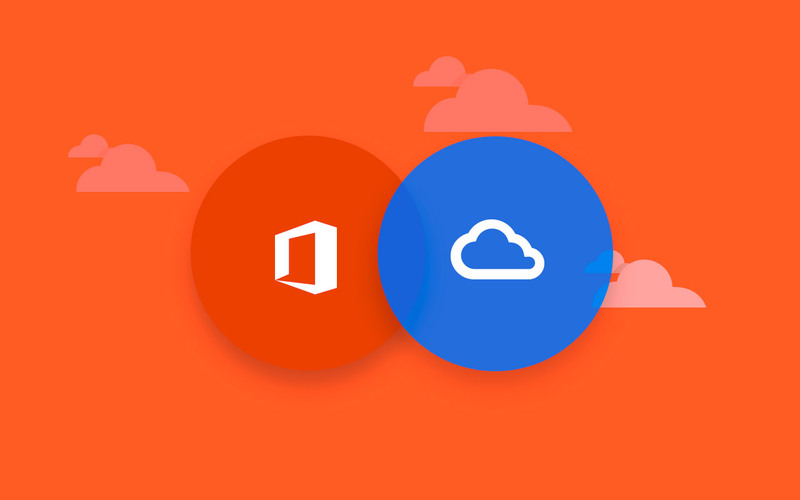 Our cloud-based web and mobile technology integrates seamlessly with Microsoft Office365 SharePoint online and Outlook. 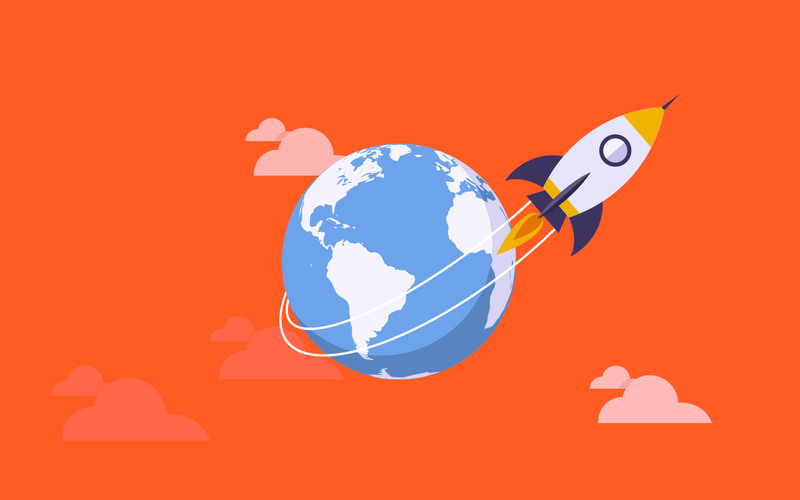 This empowers our Microsoft partner community to deliver user-friendly end-to-end business solutions that work well within existing Microsoft Office365 environments. Best of all, these solutions can be deployed quickly and easily. 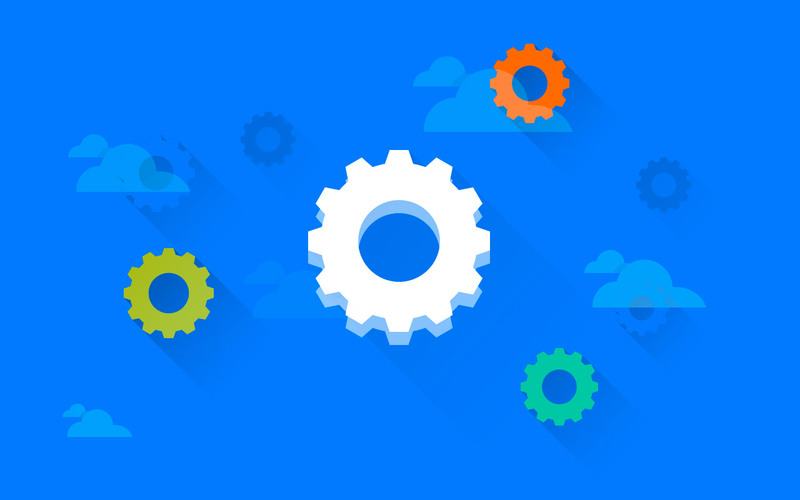 Together with our SaaS vendors, we unlock the full potential of SaaS in the cloud. 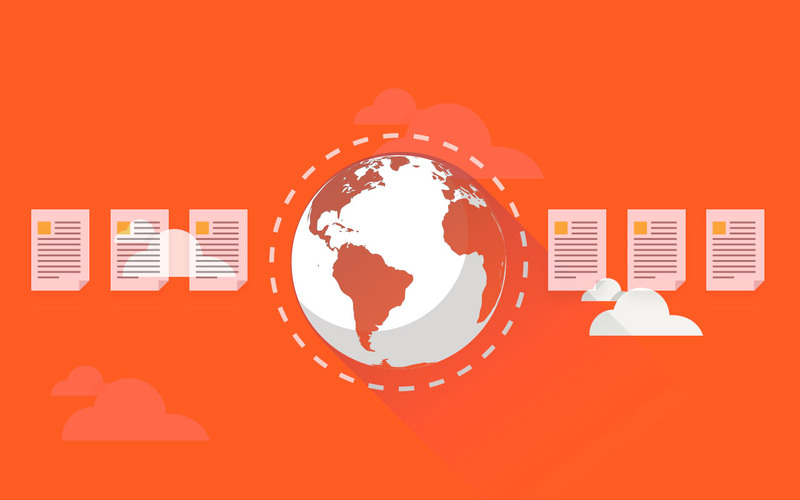 With our cloud-based web and mobile capture technology as well as document processing capabilities, our SaaS vendors are able to deliver end-to-end solutions to their customers around the world. Their customers can now capture and process business critical information any time, from any device and delivering them as part of their business solutions. Our VARs bridge the gap between us and the end-users. VARs enable us to understand end-users, so as to develop a long-term relationship with them, accept their feedback, and ultimately, increase their satisfaction and loyalty. We offer our VARs a fuss-free, simple, rapid-to-deploy and cost-effective cloud-based solution that they can bring to their various types of customers repeatedly. 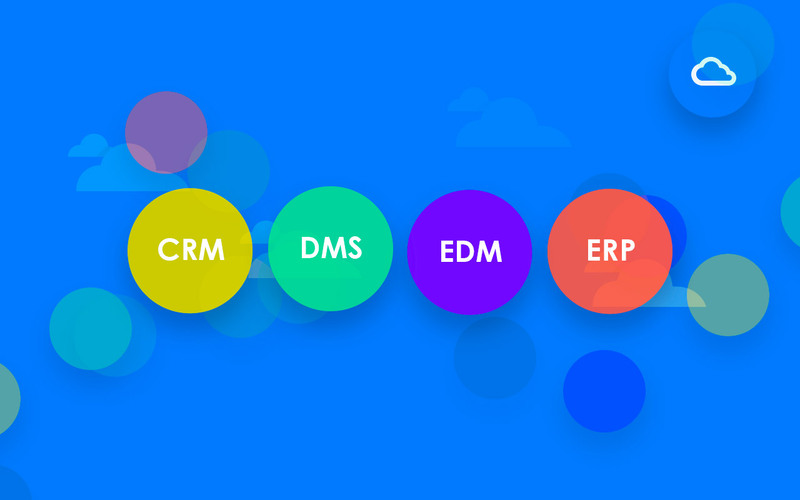 Our System Integrator partners are specialists in integrating our cloud-based document process automation platform with existing enterprise solutions such as ERP, HR, and CRM. Through these partners, we can customise our solutions to our clients’ needs, and as a result, deliver shorter payback periods and higher ROI for them. CumulusPro works with Ag-I Solutions to package SaaS solutions so their clients and partners turn Capex to Opex. Ag-I understands that time and cost are critical factors for their customers, so they offer products that are designed to significantly reduce the Total Cost of Ownership and can be deployed in a shorter space of time – so their customers can enjoy the benefits of an efficient document management process more quickly. Ag-I focuses on delivering true cloud solutions to their partners around the world, in the form of Records, Document and Workflow Management applications. They provide White Label products to Resellers – who host, configure and implement the solutions for their clients. CumulusPro enhances Alfa Connections’ offerings to their customers with automated document processing capabilities. Alfa Connections provides a full suite of comprehensive IT solutions designed to enhance productivity and reduce operating and investment costs for their customers in Singapore. Driven by innovation, they integrate crucial business applications on a centralised Microsoft-based system (which includes web application platforms such as SharePoint) to accelerate communication and optimise the way people work. 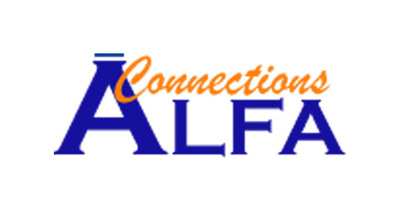 By partnering with CumulusPro to add automation capabilities to their customers’ document processes, Alfa Connections enables their customers to submit hard copy documents directly to SharePoint with ease while offering better compliance, accountability and traceability for all documents. Apflow serves more than 2,000 customers worldwide processing in excess of Ê52 million invoices annually, focusing mainly on the retail and manufacturing sectors. Apflow is present in Sweden (HQ), the United States, Australia, Canada, Denmark, the Netherlands, Norway, Poland and Malaysia. Credit management solution that offers maximum automation benefits for banks, insurance companies, pension funds and other financial intermediaries. Business processes automation and collaboration in the banking and insurance sectors, as well as between companies, public services, education sectors. Despite the strength of their brand in printing, Canon has taken a future-forward approach to its business with the Canon Business Center (CBC) Breda | Goes | Rotterdam which focuses on digital document management solutions. CBC Breda | Goes | Rotterdam helps customers transform their paper assets into digital ones, while providing optimum security, ease of search, and savings on filing fees. With CumulusPro’s Invoice+, CBC Breda | Goes | Rotterdam will expand its invoice processing offerings, and subsequently, move on to expense processing. CloudGen's ambition is to guide customers on their digital journey and help them work smarter, faster and easier by (re)designing and executing their business processes in the cloud. Comuto provides implementation services and digital BPO solutions that specialises in customer’s personal data management. Throughout the entire customer life cycle from onboarding to maintenance and off boarding, Comuto offers cloud-based KYC in these specific verticals. Founded in Vietnam by German investors, DIGI-TEXX began operations in 2003 by specialising in digitising services. Thirteen years later, they are one of the most prominent names in digitisation – featuring DIGI-SOFT, their own professional digitising platform. DIGI-TEXX also owns a co-op network of digital solutions companies. With a portfolio of customers in insurance and financial services, DIGI-TEXX is already accredited to handle large-scale projects. Now, DIGI-TEXX has an opportunity to enhance their DIGI-SOFT through integration with CumulusPro’s cost-efficient and scalable Straatos platform. Docassist Netherlands are Specialist in implementing and maintaining billing, digital mailroom and document-intensive processes. They specialise in Document Management and Multi channel capture and work closely with Ricoh Document Centers. CumulusPro provides the ideal document processing solutions to help DocCare support the administrative processes of their customers. DocCare’s dedication to supporting the administrative processes of their customers means they are focused on providing solutions that are customised to each organisation’s needs. DocCare understands that for their customers, success must come at speed, and they work hard to ensure that they provide seamless and efficient service from beginning to end. With a combination of high technology, years of expertise and a broad experience in the optimisation of administrative processes, DocCare offers their clients with versatile and high-quality solutions for all their document management needs. CumulusPro and Dowser Group link strategy, innovation and technology to ensure business success for customers. Dowser Group understands that organisations want measurable results when it comes to process optimisation and look to reduce action times from minutes to seconds. Through this partnership with CumulusPro, Dowser Group can provide precisely this to its customers – with easily integrated cloud-based solutions that allow efficient technology integration and quick onboarding. Dowser Group’s customers across Asia Pacific can benefit by enhancing business decision-making at every stage of the document process, and across all levels of their organisations. EAD’s partnership with CumulusPro expands its capabilities, with more effective and cost-efficient methods of archive and record management. As a document service provider accredited by the International Councl of Archives, EAD focuses on keeping up with the latest in information technologies in order to offer the most relevant, efficient and reliable services available in the market today. Based in Portugal, EAD has more than 200 clients around the world that trust its services in archive and record management. 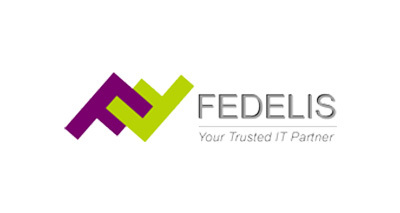 CumulusPro partners with Fedelis to create a better user experience on SharePoint. Founded in 2009, Fedelis is a Malaysia-based boutique system integrator focused on a number of niche and emerging information and communications technologies. As a cloud solutions provider, the partnership with CumulusPro is a natural progression for this award-winning company – equipping its customers with web scanning solutions that are embedded within the SharePoint portal for more cohesive and productive business and document process management. FINFORM AG is joint venture between AXON IVY AG and PostFinance AG. Finform substantially simplifies handling and verification pursuant to compliance requirements. This is achieved via standardization, industrialization and digitalization of the relevant processes, optimally combining software with services. CumulusPro’s cloud-based solutions enable Fujitsu (Malaysia) to assist their customers in meeting the information technological challenges of this new millennium. Fujitsu believes in shaping tomorrow with their customers, by bringing their experience and expertise to the forefront of their services and solutions. As a global organisation, Fujitsu works towards building a human-centric intelligent society through research and development, in order to shape industries for a better business future. Fujitsu (Malaysia) Sdn Bhd delivers high quality and competitive business solutions, bring together Fujitsu’s leading technology and global coverage with a localised skill base. Their array of integrated business solutions covers all major aspects of systems, solutions and services. For over 50 years since 1965, Fuji Xerox Singapore (FXS) progressively offers a holistic ecosystem of products and solutions to enable businesses to achieve increased productivity and efficiency while deriving greater value from customer engagements. FXS partners with CumulusPro to deliver its full suite of cloud-based business solutions including Invoice+, Accounts Payable (AP) Automation solution to business organisations in Singapore. By combining FXS’s technologies and competencies in office automation solutioning, this partnership promises great business opportunities in addressing the cloud solution space. CumulusPro enables Fusionex to help their customers digitise documents and process data more quickly, so they benefit from a more efficient process. Customers choose Fusionex for their clear understanding of relevant industries, and ability to use that knowledge to engineer effective solutions that improve the overall efficiency of operations in the customers’ businesses. When it comes to solving industry-specific challenges, Fusionex believes in exceeding their customers’ expectations. Fusionex is an established multi-award winning IT software group, specialising in Analytics and Big Data. They help clients manage, make sense of, and derive useful insights and information from the vast amounts of structured and unstructured data at their disposal. Hitachi Sunway is the leading one-stop ICT solutions and services provider in ASEAN with a local presence in 16 locations across 9 countries (Singapore, Malaysia, Thailand, Indonesia, Vietnam, Philippines, Myanmar, Cambodia, Laos), supported by 300+ workforce and serving more than 1,000 clients in the region. CumulusPro and Innovate Italia are revolutionising the way customers deal with paper-based processes. With CumulusPro's solutions, Innovate Italia can help its partners innovate their document processes together with their customers as well as generate new growth opportunities in Italy. Innovate Italia has worked with passion and expertise to help customers make the best decisions about their document management needs, without losing sight of objectives and results. As a company, they look to revamp business processes, and offer products and services that simplify, automate, and reduce the cost of digitisation of paper documents and content - by making work easier and speeding up execution, as well as anticipating future needs and designing and delivering technologically advanced solutions. Established in 2012 in Miami, Florida, IntelliDocX has a team of subject matter experts who create smart process applications around document-centric business processes, helping mid-size to large enterprises around the world unleash the full capabilities of smart content management. IntelliDocX provides certified solutions and consulting services, specialising in the optimisation of content utilisation and process automation with SAP and Microsoft. Now with CumulusPro’s Invoice+, IntelliDocX can enable its entire workforce with document, data, and process information from inside SAP, outside SAP, and out in the field with one unified workspace across all smart devices. Jannlex Corporation specializing in IT consultancy, system integration and engineering Solution. Clients range from private to public listed corporate. We are driven to enhance Total Cost of Ownership (TCO), bringing effectiveness and efficiency at work for our clients. With the development of a new mobile business app using CumulusPro’s Mobile Document Capture SDK, customers of German Document and Workflow Management ISV JobRouter AG can now capture documents from their mobile devices and upload them directly to the JobRouter workflow management system. No matter how complex the environment in which their customers' companies operate, JobRouter AG's extensive experience in ERP assures that all eventualities of process optimisation has been considered during its product development. Headquartered in Mannheim, with offices in Casablanca, Istanbul and Warsaw, JobRouter also has a global network of around 80 partners – now including CumulusPro – and delivers solutions across industries to companies of all sizes. CumulusPro enables Marshoek to provide a suite of seamless and efficient document capture and management solutions to their financial retail clients. With Marshoek, customers can be confident of one thing: Their challenges are Marshoek’s challenges. Marshoek understands that achieving a healthy return is of the utmost importance – which is why their document capture solutions for accounting and payroll are designed to enable their customers get a comprehensive view of financial and administrative processes with ease. More than 450 financial retailers throughout the Netherlands are working with Marshoek. With 27 years of experience, Marshoek are the financial retail specialists who are focused on helping their clients achieve a healthy return for their businesses. CumulusPro’s products strengthen MFM Hofmaier’s offering in the document management market, and enhance their relationships with customers. Customer satisfaction is the hallmark of MFM Hofmaier. They believe that their customers deserve more than just reassuring words – they deserve reassuring solutions. This culture is ingrained in every employee, and supported by an in-house programme, HQ (or High Quality) – a charter of commitment to putting the customer at the centre of everything they do. With more than 50 years of experience, MFM Hofmaier builds the trust of their customers by constantly developing their service offerings. They are also one of the leading providers of high-performance scanners and OCR software in Europe. More4Apps offer a range of Excel-based products that load information from Excel to Oracle E-Business Suite with superior speed and accuracy. Ensuring the right information is available for the people that need it, when they need it.ÊUse the power of Excel to improve productivity, increase accuracy and reduce re-work. MRU Consulting Pty Ltd is an accredited Viewpoint Construction Software partner that provides a specialised solution for its customers mainly from the construction, civil and mining industries. With the integration of CumulusPro Invoice+ to ViewPoint Construction Software, MRU Consulting now delivers an end-to-end solution to Australia’s mining and heavy industry market that includes cloud-based accounts payable (AP) Automation capability. Panasonic System Solutions Asia Pacific delivers B2B solutions for government and commercial enterprises that cover unified business communications, mobile computing, data storage, security and surveillance, retail point-of-sale, visual communications and imaging network solutions. Having handled millions of documents since its establishment in 1994, PDM has not misplaced a single one. As the premier managed offsite document storage service in London and the South East, PDM also has expertise in transforming paper archives into digital ones and managing them securely via its comprehensive digital document management facilities. CumulusPro’s Invoice+ solution allows PDM’s SME customers to dramatically reduce their invoice processing times and cost – by processing invoices in a timely way; therefore benefiting from early payment discounts and benefit from better cash planning. SMEs also pay on a per-invoice basis, so they can avoid having to make significant upfront investments and have complete control over their expenditure. 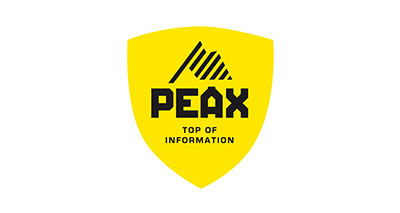 PEAX is the result of an innovation project with the goal to simplify digital and multi-channel complexities for business as well as for private administration processes. The multisided PEAX platform allows private persons to receive post mails in digital or digitalized form, to process the mails directly in the portal, to pay bills in just a few clicks, to be guided through all the important tasks by an intelligent navigation and to file data and documents in a simple, clever and secure form. On the other side, the cooperation between PEAX and CumulusPro enables companies to realize complex digitalization strategies step-by-step and to control customer communication and correspondence from one central cockpit – in order to gain an overall view, to save printing and dispatch costs and to act environmentally friendly. Prozess Werkbank supports public administrations, schools, fiduciary companies, long-term care facilities and SMEs in the digitization of their business processes. With ProcessWorkbank.ch you have yours Business processes not only under control, you can completely redesign your work and create a new digital work. Rabbit IT Sdn Bhd (RISB) was incorporated in 2013 by a group of experienced IT professionals with various IT background. Based in Kuala Lumpur (Malaysia), RISB helps customers in crafting support solutions as well as involved in the specification, implementation, integration and support of some of Malaysia’s most innovative IT projects. RISB's core vision statement is to be the Technical Solutions & Services Advisor to their customers, by managing customer's hardware, software and related applications. RGB Projects provides extensive domain expertise with content management and workflow process automation has benefited organizations across multiple sectors including financial services, government, insurance, healthcare, energy, utilities, travel, e-commerce, and transportation. SmartSearch provides an unique Anti Money Laundering verification platform that brings together both Individual and Business searches for the UK and International Markets with automatic Worldwide Sanction & PEP screening. CumulusPro and SRKK take people management to the next level. 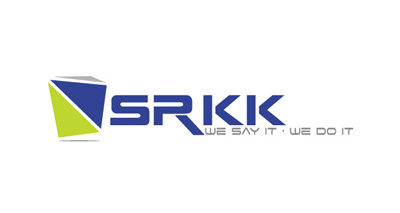 An expert in business IT solutions, SRKK was established in Malaysia in 1997 in tandem with the government’s initiative to promote the use of information technology to enhance efficiency and productivity in manufacturing, services, trading and distribution sectors. Integrated with CumuluPro’s cloud-based document capture solutions, SRKK’s uPeople Business Suite – which is designed to manage human resources (HR), client relationship management (CRM) and Intranet portals – become a complete offering that can engage with all stakeholders in the people management process from beginning to end. TEMPO Solutions provides fast, accurate, remote data entry services. Our Cloud-Based service eliminates the need for organizations to do data entry and relieves them of the pain and high cost associated with capturing data from all types of paper and digital documents. YourDMS has more than 20 years of experience in the Document Management (DM) industry, with the knowledge and ability to translate and deliver technology that simplifies the way organisations work. With a dedicated team that serves hundreds of companies in the UK and Europe, YourDMS works with a range of software solutions to fully support businesses to improve data capture, workflows, and print reduction. Not only do they understand how product works; they also understand how it should work for your business. With CumulusPro, YourDMS is now able to offer complex back office functions for invoice data extraction and matching, and approval workflows – as well as target new markets with intelligent BPO solutions.